Ven. 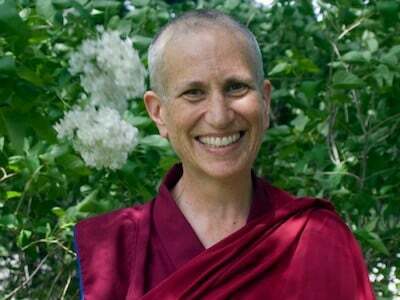 Chodron will lead a one day retreat based on the book “Practical Ethics and Profound Emptiness: A Commentary on Nagarjuna’s Precious Garland” (written by Khensur Jampa Tegchok, edited by Ven. Chodron). The retreat will feature traditional Buddhist prayers, guided meditations, and explanations on Buddhist philosophy. Some background in Buddhism helpful, but not required to attend. The event will include a vegetarian catered lunch. For full details, visit http://www.dharmafriendship.org/ and subscribe to updates and pre-registration information via the e-newsletter. 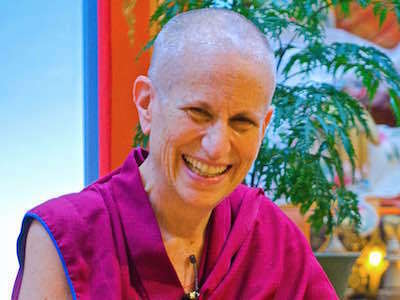 This is Venerable Chodron’s first weekend full day teaching in Seattle in at least 15 years. We are expecting a large number of attendees and would appreciate your pre-registration once that link is available. There will be a suggested donation to help cover expenses, but as with all Dharma Friendship Foundation events, nobody will be turned away due to lack of funds. 1660 S Roberto Maestas Festival St.